Obituary for Della Mae Skipper | Beach Funeral & Cremation Services, Inc.
Della Mae Skipper, affectionately known as “Maw-Maw”, who was the daughter of the late Trigg and Hannah V. Preston, was born March 11, 1935, in Glade Springs, VA. Della departed this life on March 20, 2019. Della received her high school education in the Bristol School System. She also attended Tidewater Bible College, Virginia Union University, Shaw University, and Radford University where she received a degree in Childhood Development. Della was a faithful and dedicated Missionary throughout her life. She loved being the Hands and Feet of Jesus Christ. Her love and compassion exemplified what it meant to be a true servant of the Lord. She was a devout prayer warrior: “She opened her mouth with wisdom: and in her tongue is the law of kindness.” She was the epitome of the virtuous woman. Her Godly character helped shape and mold many younger women in the church. She served her present loving and supportive pastor of the New Jerusalem Ministries, Rev. Veronica Coleman and past church, Pleasant Grove Baptist church with love, loyalty, and dedication. She was a faithful member of the Tidewater Baptist Woman’s Missionary and Educational Convention where she served the convention for over 25 years and served as Executive Secretary under Former President Gladys Wynn and worked on other various committees with the Convention as well as The Baptist General Convention, of Virginia. 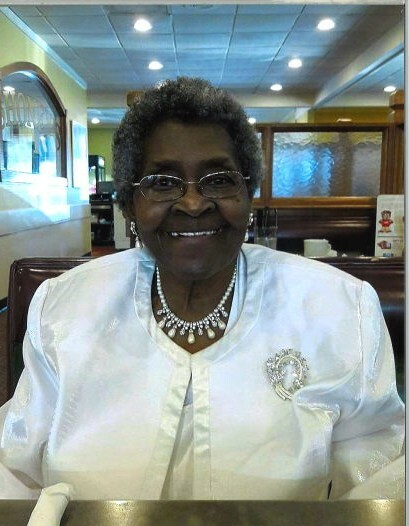 She was the past president of the Missionary Circle at the Pleasant Grove Baptist Church for eight years under the pastorate of the late Bishop Darryl W. Scott. Della married the love of her life, Robert L. Skipper, Sr., and to this union four children were born. She is predeceased by her husband, Robert L. Skipper Sr.; son, Robert L. Skipper Jr.; three sisters, Elsie Gray Preston, Margaret Ann Davis, Jeanette Preston, and one brother Jack Preston. She leaves to love and cherish her memory, three children, Trigg R. Skipper (Nancy) of Hollandale Beach, FL, Ozawa Skipper-Coleman (Ron) of Chesapeake, VA; Jonathan Skipper of Virginia Beach, VA; two brothers, Daniel Preston & Monroe Preston of Glade Springs, WVA; one foster sister, Rachel Arend of New York, NY; two daughter-in-laws, Mrs. Sandi Skipper, and Mrs. Barbra Ervin-Skipper; grandchildren, Jessica Skipper-Manns, Lamar A. Skipper, Kayla T. Skipper, Robert L. Skipper Jr., Marcus A. Skipper, Chantel L. Skipper, Joseph A. Skipper, Daryl E. Beamer Jr., James C. Gregory Jr., Byron N. Ervin, Christopher J. Skipper; 16 great-grandchildren; special friends, Mary Smith, Robin Joseph, Lucille Fuller and a host of cousins, nieces, nephews, and friends.